It’s been a long time since Molly started her band “Holy Molly”. It almost seems like a whole life. “Oh, those times when we went to Roddy’s basement to practice after school!”. The success has been growing on and on, especially since that wonderful post-rock hit that catapulted them into stardom back in the nineties. But there is something that haunts Molly: she will never be considered an ultimate front woman until she organizes all the information the band has generated during the decades they have been playing. She needs “something” that compiles lyrics and chords, to establish a history of the band, a database, to be able to get a hold of from time to time or to feed with new knowledge. Internal documents where they can write the things that they have learned, so that others can take advantage of it. She does not know it yet but she needs a Knowledge Base, but what is a Knowledge Base? – Pretty please, sister-in-law, I need something to keep all the data that my band generates, you know, “Holy Molly”, to be able to check it out just in case. – Nope. Then what is a knowledge base? 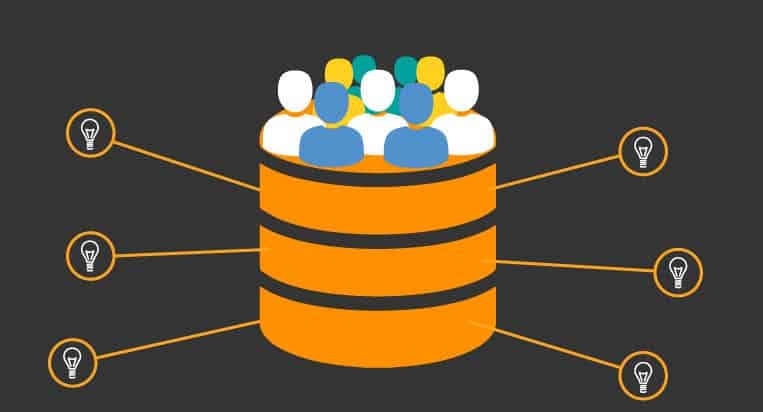 – To explain “what is a knowledge base?”, I’ll tell you that the objective of a knowledge base is giving shape to and digitally storing a set of knowledge, ideas, concepts or data that can be checked out or used later on. – Hmm… sounds interesting, please go on. – I thought I had given you enough explanation, but ok. It is a special type of database for knowledge management. It provides the means for knowledge collection, organization and computerized recovery. The most important aspect of a knowledge base is the quality of the information it contains. The best ones have carefully written articles that are kept up-to-date, an excellent information retrieval system, similar to a browser, and a delicate content format and classification structure. – That would come in handy for my band, you know? – Do you know how I could get a hold of one? – Well, you could follow the example of Integria IMS. – Not exactly, but Integria IMS has a management system of a knowledge base whose purpose is keeping a base made up by different articles organized depending on the type of product, its category or the language in which they are written. It represents a key element in the process of consulting and publishing articles, something in which users can play a part in. – Ugh, it’s okay, sit down, I’ll be your guide. When you get in, you will see that in the Knowledge Base section, you can see the different articles it contains, add new articles and manage the different categories and products to which each one can belong, together with the access of different groups of users to these articles. In the main view you can find a list of different articles that make up the Knowledge Base. This view also allows you to filter articles depending on the category or product of each element, in addition to the writing language. Also, it is possible to filter researches using the free search text field. – Oh! This means a whole new world of possibilities for my band! Could I make something similar? Something like that but applied to my rock stuff? – Of course, Molly. Look, let’s go on. To create or view the different categories available in the Knowledge Base, you just have to get to the “Manage Categories” section of the side menu. In this section you can see the list of categories that you have created. Each one of these will have an icon, a name and perhaps, a parent assigned to it, which will be the category on which it depends. In this same section, you can see the “Elements” column that shows the number of articles belonging to that category. You can delete a category by clicking on the “Delete” button in the category that you want to remove from the database. In addition to categories, you can also manage products and, of course, create new articles. – So, the knowledge base is a place where you can check the “articles” that have been added. For example, picking a version of one of your tracks in which a very specific thing fails and it can be fixed with a tap. This is a mistake that all musicians, editors, producers and arrangers are going to make. By creating an entry in the knowledge base explaining this problem and the solution, you can check it and find the answer quickly later on. There you go. Something that has happened before and will happen again and again. If the new soloist checks the knowledge base and sees that the problem is the same and it already has a solution, he does not need to try things out and figure out the arrangement… Now, that is just great! Finally, Molly got what she wanted, and she found out the answer to the question “what is a knowledge base?”. But showing you what a knowledge base is and how it works is not the only thing Integria IMS can help you with. Integria IMS is a program that provides, among many other features, an issue management system (help desk software) based on tickets (ticketing) that can be useful for customer service management within enterprises. But that’s not all. Integria IMS includes many other interesting features, such as an inventory or a project management system. The great team behind Integria IMS will be glad to assist you!